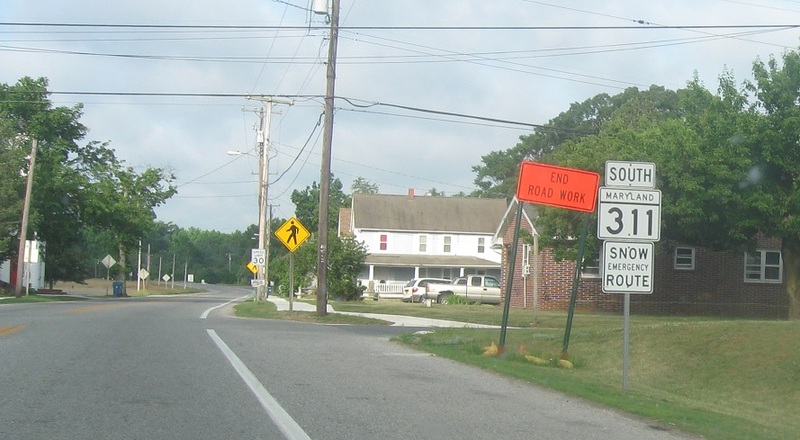 Reassurance shield as MD 311 begins. At the intersection in the background, we approach MD 821. Turn right or left for Route 821.